Well, The Bad Batch certainly is all those things. It is not, however, very “good”. Aminpour’s ambition continues to outpace her ability to weave the strands together in any convincing way, and, although there are striking visual moments throughout (and even some actual horror), her sophomore outing is too messy and meandering to stick. In A Girl Walks Home, our protagonist had little to say, generally speaking, and The Bad Batch demonstrates in no uncertain terms that this was a good choice. People have some pretty dumb things to say and do in this desert, emptily philosophizing and glaring menacingly by turn. It doesn’t work. There is almost certainly some truth to the idea that any director’s second feature — any director worth watching, at least, particularly of the Spooktober variety — will likely be ambitious and something of a mess. But when you have Keanu Reeves turn up as a post-apocalyptic House DJ / benevolent desert patriarch, sporting a sleazy mustache and delivering a monologue about pooping, and I’m still not engaged, something has gone wrong with the film. Boris Karloff has turned out to be this year’s Spooktober VIP, entirely by coincidence. We already discussed The Mummy, a fantastic bit of classic Universal, and he turns up again not once but twice this time around. As a testament to Karloff’s longevity and work ethic, it’s pretty amazing that The Mummy was released in 1932 and Cauldron of Blood just after his death in 1970, with the similarly-titled but very different Corridors of Blood straddling a mid-period in 1958. That’s a hell of a spread, career-wise. Corridors of Blood is barely a horror: despite its lurid title, there’s little blood and, as far as I can remember, no corridors. 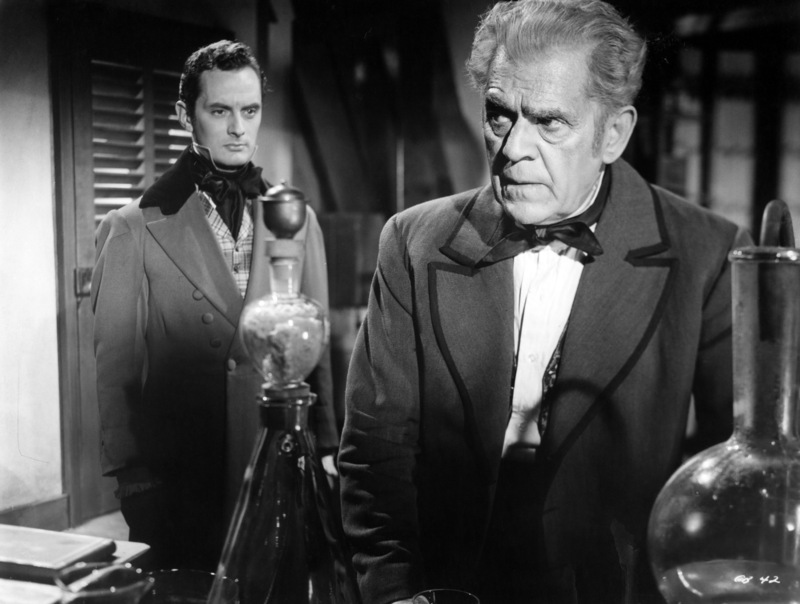 But Karloff is excellent in the lead, a surgeon in the 1840s horrified by the pain his trade demands of patients and committed to discovering an effective anesthetic. 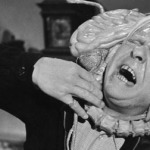 An addiction to nitrous follows, exploited by a menacing Christopher Lee (is there another kind of Christopher Lee), and some deadly, gang-related hijinks ensue in the back bars of London. Despite only being released in the U.S. by MGM as a double-feature with the very Italian-sounding Werewolves in a Girls’ Dormitory, Corridors of Blood is actually a fairly high-minded affair, with most of the scares coming from the notion limbs being sawed off by sane, rather than mad, doctors. This is respectable stuff. The same cannot be said of Cauldron of Blood, which does feature a lot of blood and, I think at one point, a cauldron. 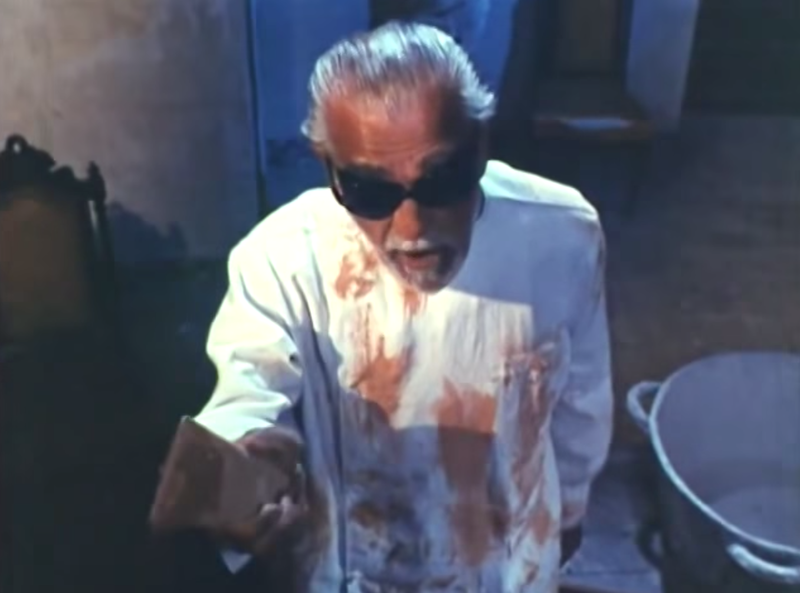 With nods to Corman’s Beatnik-satirizing A Bucket of Blood and the familiar beats of House of Wax, Karloff plays an elderly blind artist celebrated for his “sculptures.” He has a creepy wife/assistant intent on maintaining his fame. You can see where this is going, but it’s fun all the same. Directed by Edward Mann, who also wrote and directed a film called Hot Pants Holiday that it is now my mission to see based on its title alone. A comic-horror Groundhog Day homage that actually includes a verbalized reference to Groundhog’s Day, this was a lot of fun. Was this at least partly because I watched it, stoned, out of a Suburu hatchback at a drive-in movie theater, the first drive-in movie theater I’ve been to in nearly 2 decades? In a word, yes. But Jessica Rothe and Israel Broussard are appealing in the leads, the whole affair is snappy and silly, and there’s exactly enough tank in the gas to get it to the 90-minute mark. That’s good enough, as far as I’m concerned. Though not nearly as outright goofy as Happy Death Day, Karyn Kusama‘s unfairly maligned Jennifer’s Body is playing in a similarly haunted Spooktober sandbox; hell, even its Diablo Cody-penned script shares a meta-note or two. There’s probably a reason for that disdain, but I’m sure it has nothing to do with the fact that it was written, directed, and starred women in the leads. Nope. Not a thing. Alice Lowe wrote, directed, and stars as Ruth in this mostly creepy, often thoughtful bit of fetal terror. 7 months pregnant herself at the time of filming, Lowe certainly commits to the role in impressive fashion, playing a single mom-to-be whose gestating child encourages her to kill. The proximate cause? The unborn child’s father died in an “accident” she feels could’ve been prevented, and so revenge drives the narrative. 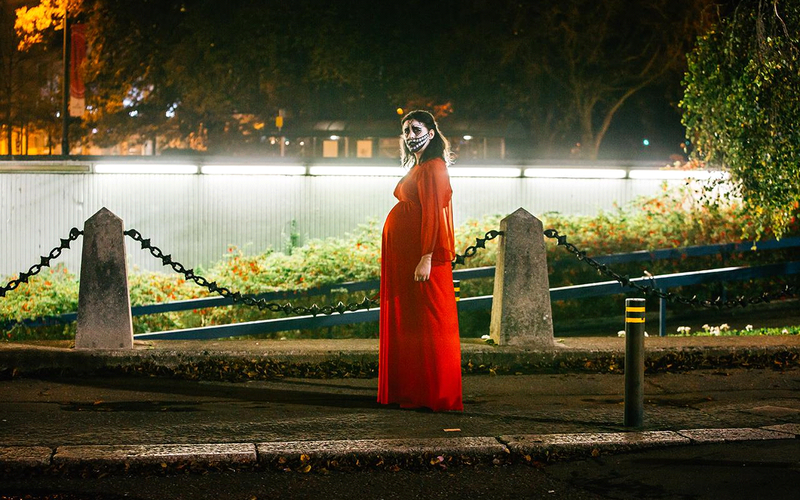 But as Prevenge continues, things get decidedly murkier. Lowe’s script gets a bit bogged down in its final third (and we really don’t need the “be Ruth-less” business), but there are haunting images throughout, along with a really melancholy undercurrent that unexpectedly turns the film into more of a meditation on grief and the body than the outright exploitation possibly communicated by its premise. Spooktober can also be a sad time, as it turns out. Lowe injects the proceedings with both class-consciousness and anti-patriarchy: doctors (even female ones) that talk down to her, prospective employers unwilling to hire someone so late in their pregnancy, pathetically skeezy club DJs who think they’re doing her a favor by taking her home. Even the stray looks on the street from passersby are filled with an anxious energy — something between pity and fear. 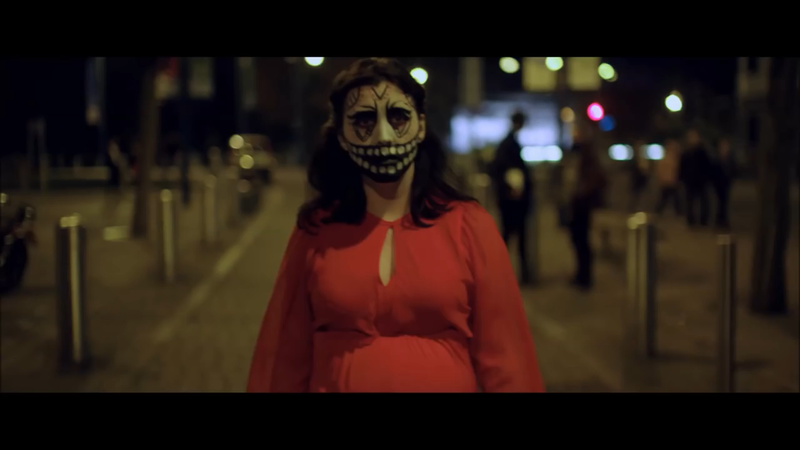 Well, for most of Prevenge, it turns out the pity’s unwarranted, but the fear isn’t. As the body count climbs, to the pre-natal Omen-like delight of her unborn child, Lowe drives home her themes. With a knife! She drives them home with a knife.